Equalizer impresses with its ease of use. Compatible with your local content and some streaming services like Deezer , the application includes about ten predefined profiles. We particularly like the automatic detection option that determines the musical style being played and applies the appropriate presets. The most demanding players access the five-band EQ by tapping the visualizer. Each spectrum of frequencies is modifiable manually with possibility of adding sound effects (low and spatialization). However, we regret the absence of explicit graduation that would allow to precisely adjust the gains or attenuation of decibels for each band.Equalizer includes some premium features like saving custom settings, saving profiles to the SD card and creating shortcuts on the smartphone homepage. Bass Booster is an excellent bass amplifier compatible with your local player and most streaming services. Its simplified handling makes it accessible to less experienced users who benefit from presets adapted to different musical styles. A quality enhancement option supports the parameterization work, while a refresh module regularly checks the effectiveness of the applied effects.The Bass Booster Equalizer has five graduated bands for as precise a setting as possible. In free version, the app has a backup slot for custom settings. It can be overwritten to save a new configuration.The Premium version of Bass Booster unlocks the limit of the backup spaces, automatically detects the settings to be applied and integrates a sound spatialization module. 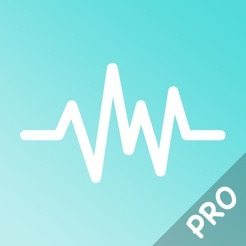 Music Equalizer Pro incorporates more in-depth features than its peers. In addition to its five-band equalizer, we take advantage of an effective bass module and sound spatialization tool. As a bonus, the application manages the reverb, recreating the echo generated by more or less large spaces.The apprentices music lovers take advantage of about twenty presets taking into account the style of the music played, the desired effects and broadcast material. Perfectionists save as many configurations as they want, easily finding meticulously tuned audio profiles.So we almost end up with no fault for Music Equalizer Pro . It should be noted that the app is not always very responsive, sometimes requiring several reboots. We also regret the invasion of advertisements that we can not get rid of since it is not possible to buy the equalizer. 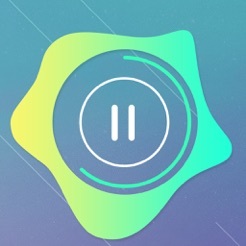 BlackPlayer is not an equalizer, but an ultra customizable audio player. The application automatically detects the local directory containing the music that is sorted by tracks, artists or albums. The added value of BlackPlayer lies in its integrated five-band EQ. Some presets will adapt to the musical style being played. Sound effects are better to be manually set according to the desired stereo balance, bass depth, spatialization and amplification.BlackPlayer can be saddened by the lack of a backup slot for custom EQs . We could also have expected from such an app more advanced options. Since it is possible to edit the tags of each title from the player, it would have been wise to automatically apply the appropriate effects. Like BlackPlayer, Poweramp is a complete audio player that stands out by the integration of a ten-band equalizer. The advantage of more modifiable spectra is the ability to make finer, more precise and more airy adjustments.Poweramp brings together presets adapted to styles as well as to the desiredrendering effects. A backup module manages an unlimited number of custom configurations that can then be assigned to selected albums and songs. A bass booster and a treble amplifier give more warmth and clarity to the titles played. Options such as mono / stereo balancing, spatialization and volume increase the setting possibilities.All features offered by Poweramp are available during the fifteen days of the trial period. You must then buy a license to continue to enjoy the player and its features.